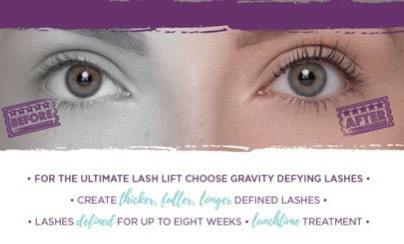 The Eyelash Emporium presents NEW Gravity Defying Lashes – Premiering at Olympia Beauty! The much-anticipated Gravity Defying Lashes Treatment from The Eyelash Emporium will be hitting Olympia Beauty and it’s set to be a blockbuster. Say goodbye to the traditional lash perm with the new and improved lash lift. While a traditional lash perm curls the lashes Gravity Defying Lashes lift and extends the lashes, straightening them at the root for an instant fuller effect and high-impact look. Plus, there’s an added lash tint worked in to create the look of mascara. Bye extensions, bye adhesive, bye mascara! Enjoy great lashes with none of the maintenance! Transforming make up routines with no need for mascara. Visit the Crew at stand C60 to discover more and experience exclusive premiering offers. At The Eyelash Emporium, we live lashes. Show-stopping, eye-popping, jaw-dropping lashes. Born back stage at Pinewood Film studios, we’re lash specialists; leading our field, raising the bar and delivering highly technical products and treatments with expertly honed skills. Exceptionally crafted and expertly applied professional lashes, perfected by our award-winning technician training in semi-permanent lash extensions, delivered to the best salons in the business. From there on in, those talented technicians are part of our team and we work closely with them to make sure they’ve got all the expert, ongoing support they need to achieve amazing lashes.